These days the words “remote email access” don’t come up much. With the overwhelming popularity of webmail providers, not many people have reason to bother with desktop clients. In the cases of some of these providers, like Yahoo! and Hotmail, the luxury of an Outlook-ready inbox comes at a discouragingly high price. A few of the major providers allow free remote access through desktop clients, though, and for those who are either too busy to be bothered with opening their browser, have multiple inboxes, or don’t have consistent access to an internet connection, a desktop client can be ideal. 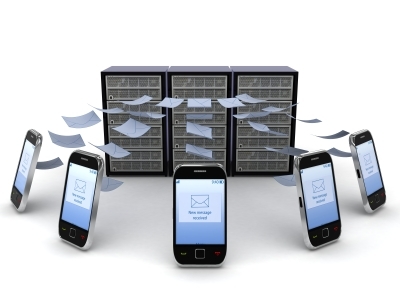 Let’s look at some of the advantages of desktop email access in greater depth. For those who’ve had enough experience with the internet to remember dial-up, there was a time when desktop email access was unquestionably the norm. Given the slower speed associated with dial-up connections, it simply made more sense to circumvent your browser when you wanted to check your email – the web inbox was more or less a last resort for those few times that the “send and receive” button just wouldn’t behave. Given that services like Hotmail were once more amenable to free remote access, and that ISP-provided email addresses were often more commonly used in the early days of email, it’s easy to see how desktop access didn’t seem so out of the ordinary. It’s a different world today, though. Broadband technology is more prevalent, webmail providers are constantly developing interfaces that are both highly functional and aesthetically pleasing, and ISP-provided addresses aren’t often considered the most usable anymore (nor the most professional, when business is involved). Given that younger generations are becoming more quickly acquainted with internet technology, but that most of them aren’t as familiar with the tools of desktop email, one could suppose that webmail is on track to become the dominant medium of email access (if it isn’t already). But that’s not to say that desktop mail is obsolete or somehow less useful. There are other protocols used to deliver and access email, but the majority of them are proprietary (i.e., integral to only one or a few applications); here we will consider the most popular protocols, POP (Post Office Protocol) and IMAP (Internet Message Access Protocol). We’ll cover their basic features to acquaint you with their uses. The older and probably better-known of the two protocols, the functionality of POP is more or less analogous to a brick-and-mortar post office. Your messages are strictly as safe as your computer is protected, once you’ve retrieved them. Server storage limits are a non-issue; the amount of free space you have for messages depends only on the free space on your hard drive or storage device. If you use more than one computer to check email, you’ll end up scattering your messages between them with POP. This is not necessarily impossible to fix, but it is often tedious. Downloading all of your messages to your computer is its own risk. Be sure to backup important messages to avoid losing them in a hard drive crash, because you won’t be able to retrieve them from the server. It is possible to configure POP mail clients to leave messages on a server, but this is uncommon and tedious to implement. If you use Google to search the phrase “pop vs imap” or any similar variants, you’ll find that the consensus is (by and large) that IMAP is superior to POP. While it’s not perfect, IMAP presents certain “improvements” that have been wanting since, well, after POP and before IMAP. The most immediate of these improvements is that messages are simply read from the server rather than downloaded. Often you still have the option to save messages to your machine, and it merely amounts to an added step in its normal functionality, but your email is not deleted from the server until you delete it manually. The safety of your messages doesn’t depend so much on your machine’s stability or whether you have the foresight to back them up. When appropriately configured, IMAP offers POP functionality in conjunction with native features. If you retrieve IMAP mail that is typically offered with an integral webmail component, you typically need to delete your messages from your webmail inbox even if you download them to your computer. If you forget to do this, you might risk running out of space in your inbox and missing messages, or worse, having your account temporarily suspended. With mail providers like Gmail that use a tag-like function (instead of folders) to archive messages, it is often difficult to retrieve any messages other than those in your inbox and sent folders through IMAP. There’s always still the narrow chance that mail servers can fail. If you fail to check your messages often enough, and you get your mail through a less than savvy provider, you might find that a server crash poses more than a minor inconvenience. As you can see, the question of the better protocol rests with your situation. IMAP offers peace of mind to those with straightforward email-related needs, but POP is certainly more convenient for those with budgetary or security concerns. If you run Windows, chances are you already have this on your computer. One of the most popular clients, and touted as one of the most user-friendly. Designed by the makers of Mozilla Firefox, this client is quickly picking up speed as an open-source alternative to Outlook. Another open-source option, Zimbra Desktop offers browser-like functionality that allows you to set up Yahoo!, Hotmail, and AOL accounts for remote access, for free. It also syncs many of the features that come with Yahoo! and Google accounts.